In Faerie Caves II, you play as Quaglor the Intrepid - a brave Quiggle who has agreed to take on Fyora's crazy hard puzzles in an attempt to beat her at her own game! Can you help him prevail? 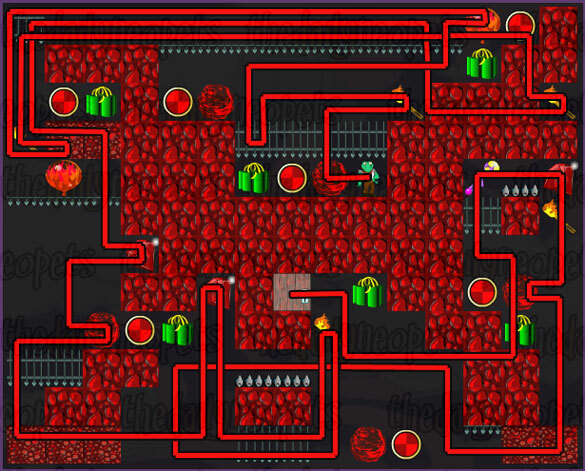 The controls for this game are very simple: just use your arrow keys to navigate around the level. You can hold keys down to move faster, or just tap quickly. Simple. This is permanent wall and as you can probably guess by its name, its permanent. You can't move through this! In contrast this is removable wall. It is solid enough to hold boulders and balloons in place, but once you walk over it disappears. Boulders are heavy and will fall if there is nothing underneath them. You can stand under one and hold it in place, but as soon as you move it'll fall - if you moved down, it will then crush you so watch out! Balloons are a lot like boulders, only they float up instead of falling down. The same rules apply as to boulders though, and you can be squashed by a rising balloon. ... like this. 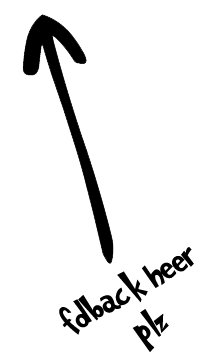 Switches are activated when you stand on them - placing a boulder or balloon on works as well. Trap gates are a bit different. You can pass over these only once, after that they block your path. You need to be pretty quick as you pass over them too otherwise they'll snap shut on you! This is a torch which you collect by walking over it. Once you have picked up a torch, it will light the first lot of dynamite that you walk near. Red dynamite creates a small blast and only destroys itself and you if you're standing too close. The green dynamite is more powerful, and will destroy anything next to it - even permanent walls! The only thing that they have no effect on is the door key. This is a gem. You get bonus points for collecting these. Collecting these treasure chests is one of the objects of the game, and you get points for each one you collect. You must have once chest key to collect each chest - if you don't have a key, the chests are as impassable as permanent walls. And this is a chest key. Used to open treasure chests, as stated above. This is the door key. 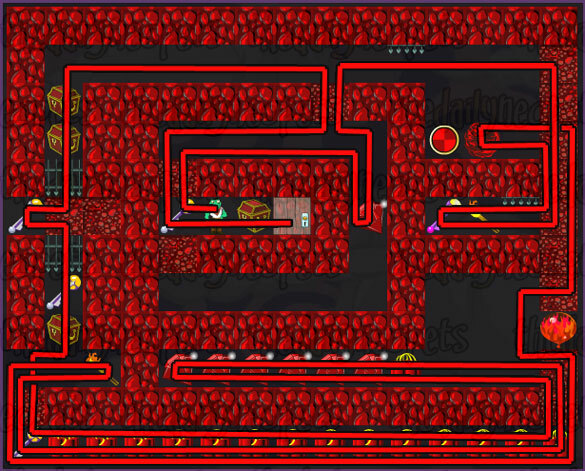 The main objective of the game is to collect this and get back to the door to exit the level. Finally, this is the door. Once you have collected the door key, you head here to finish the level. This is not the only way to complete this game. 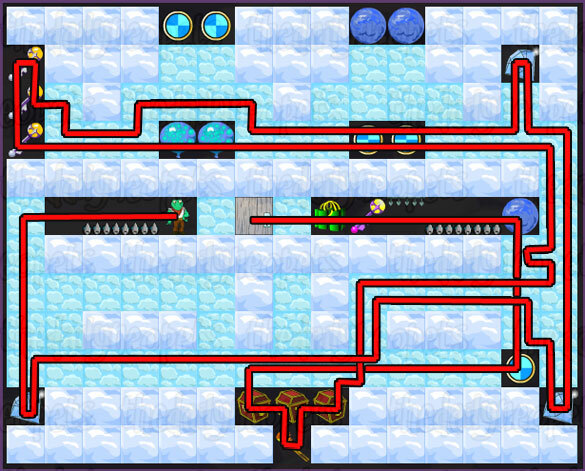 Like any good puzzle, there are multiple solutions - however this is how I do each level and it should help to get you started. 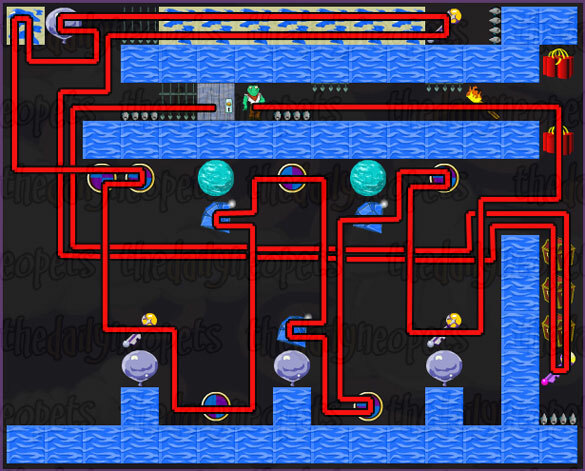 Keep in mind that you may be able to find simpler ways to complete some of the levels as you get better at the game! First, head up and across to clear the removable blocks and make the boulders fall... you don't really have to do that, but its fun :P Anyway, next push the blue balloon out of your way and go knock the boulder onto the switch. This will open the gate you need to go through later. Pick up the torch and the door key and then go quickly through the trap gate to get the other torch. 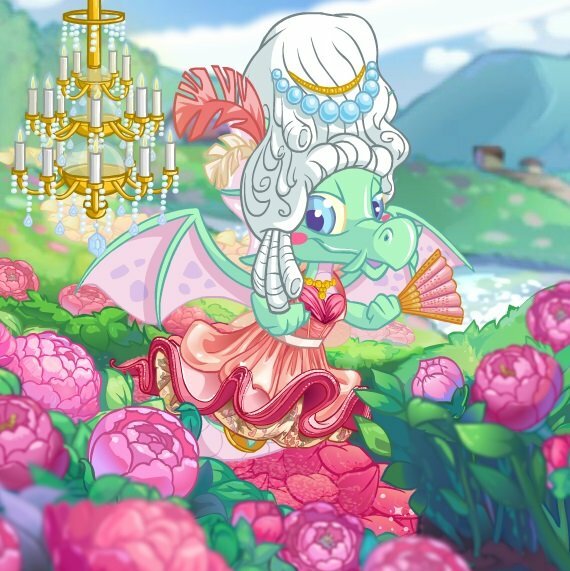 Go get the four gems, set off the green dynamite - make sure you're not next to it when it goes off! 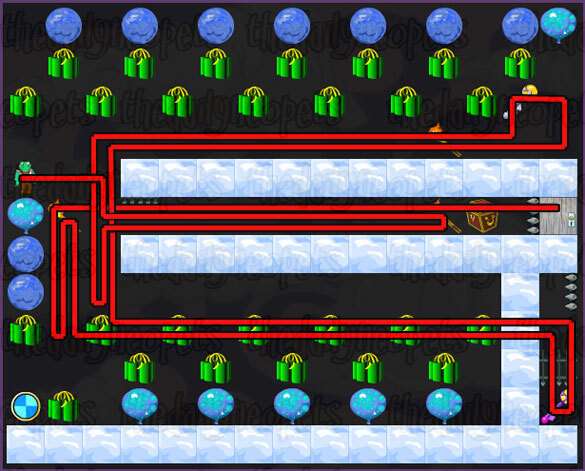 - and then head along the bottom to get the chest key. Open the treasure chest, pick up the two remaining gems and light the red dynamite. Again, make sure you're not directly next to it when it goes off. Finally, collect the last chest key and treasure chest and head on over to the door! Go left and pick up the first chest key, then head over to collect that gem before going though the open gate. Collect the torch and the door key before going back and pushing the boulder onto the switch. 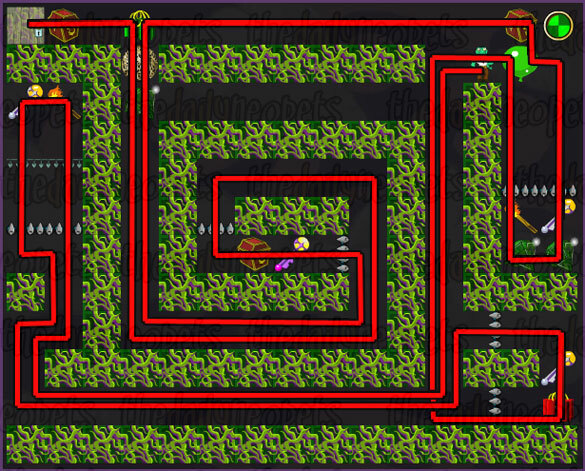 Use the torch to set off the red dynamite chain along the bottom of the screen. Follow along behind the destruction, making sure you don't get too close, and grab the other torch there. Go back along the bottom and set off the red dynamite in front of the gems. Get those and then head along the bottom and then up the left side - collecting the treasure chests and keys as you go. Once you have them all, go back to the door and get the final treasure chest before moving onto the next level. To begin with, head down and along the bottom towards the trap gates on the far left. Go through there and pick up the torch and chest key. Once you've done that, enter the top trap gate in the bottom right corner. Collect the key there and you'll light the red dynamite. Make sure you back up one square so you don't get blown up. When the dynamite has blown, head out the lower trap gate and back up to where you started. Push the green balloon onto the switch, and go collect the torch, chest key and gems past the two trap gates at the bottom of that chamber. Collect the chest at the top there, next to the balloon. Next, head along and light the green dynamite (make sure you back away a square as before so you don't get blown up) before collecting the gem. Go down and through the trap gate to pick up the door key and the treasure chest before exiting via the other trap gate and heading back to the door. Head right and up, collecting the gems and then going through the trap gate. Repeat this for the first four gems. On the last one, push the boulder off the top and move past it to clear the removable wall as in the screenie. Once you've done that, move back and go through the trap gate pushing the boulder off the edge as you do so. This is important so you have the boulder later, when you activate the switch ;) Next clear the removable rock above the balloon so it floats up and you can collect the gem. 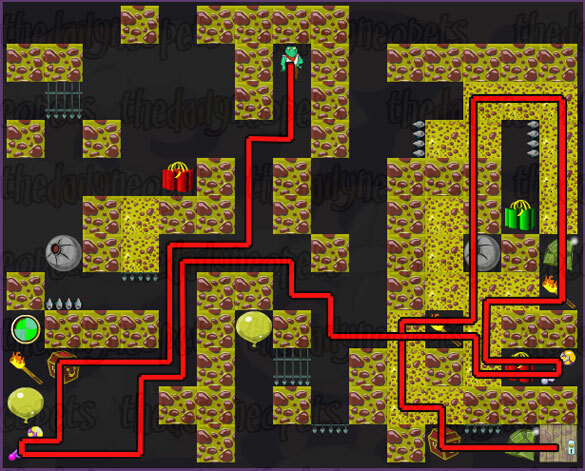 Follow the pattern marked in the screenie to clear the remaining removable wall and collect the gems. Once you're past that bit, go and collect the chest key to your left before heading through the open gate and getting the torch. Light the green dynamite (getting out of the way of the blast as usual) and it'll blow up the walls - allowing the boulder you positioned earlier to fall onto the switch! 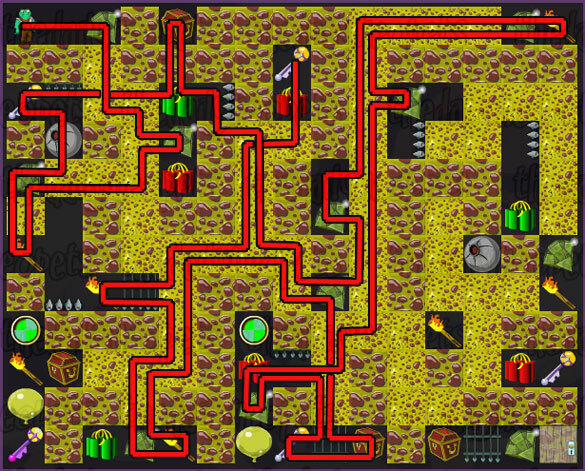 The blast will also open a path for you to go down and collect the treasure chest. After you have that, head up through the now-open gates to get the gem under the green dynamite and the door key in the top left corner of the screen. Once you have those, go and get the final torch by the door and then light the two red dynamites above the door. Its very important once you have the torch that you don't venture too close to the remaining green dynamite - otherwise, your final torch will be used to light that and you'll be stuck! Anyway, once the red dynamites are gone the boulder will fall from the switch and the gate will open so you can exit through the door. 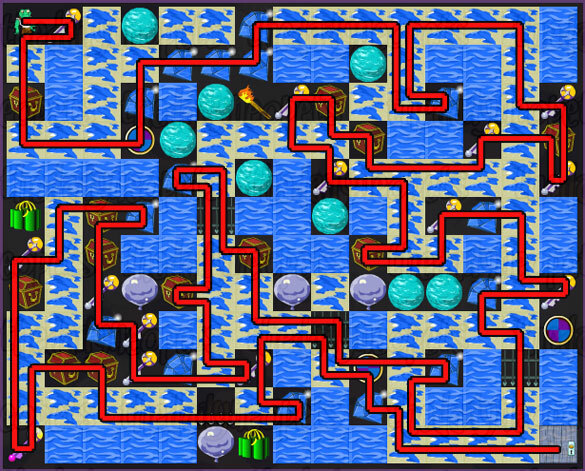 This is a nice easy level. First, collect the two gems - but leave the door key for now, it needs to stay where it is. Go left and clear the removable wall from underneath the boulder. It'll fall onto the switch and open the doors in the bottom corners. 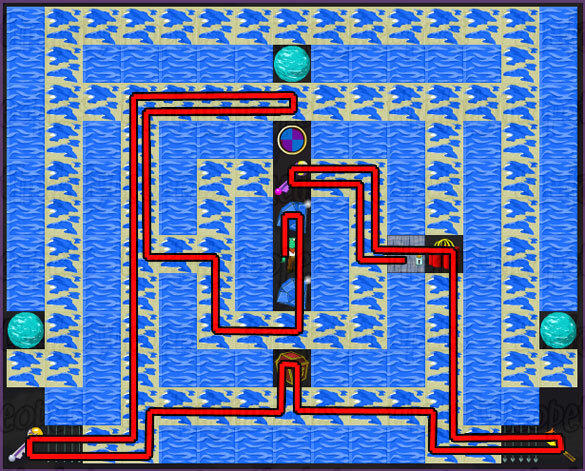 Collect the chest key from the left corner first, then head along to get the torch (collecting the treasure chest along the way) before setting off the red dynamite. Head past the door, collect the door key and then go back to the door to finish. Go to the left to start with, past the two trap gates. Head down and collect the gem, then head across to clear out the removable wall underneath the boulder - all except the piece directly beneath the boulder. Get the gem and then go up and get the one in the top right corner. Move across the top to collect the three chest keys, but make sure you don't remove any more of the removable wall than you absolutely need to. In other words, don't let the boulders or balloons fall onto the switches. Next go and remove that final piece of removable wall from underneath the boulder so it falls onto the switch. Collect the three chests and the torch, push the boulder off the switch on your way past and then go through the trap gates to get the door key. This will light the dynamite too, so move back a square to get out of the way til it goes off. Once it does, move over to the door and you're done! You have to be careful with this level. 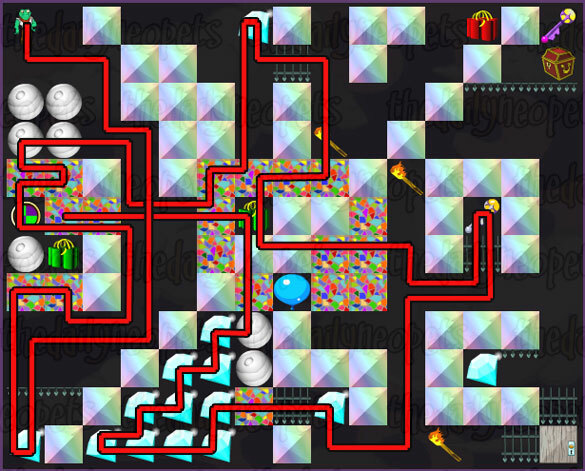 I've drawn the paths directly through the dynamites you're setting off, but do remember to backtrack a square or two so you don't get blown up once they're lit before you move through where they were ;) To start with, get the first torch and set off the top dynamite, then get the next torch and the gem. Set off the next lot of dynamite, heading up the left side of the screen. Collect the gem, go through the trap gate and get the torch before you set of the next lot of dynamite. Get the gem that has now opened up and then move down to the torch. Be careful here that you don't light the green dynamite directly next to the torch - it won't help any, and you need the torch for another dynamite. Move along to get the other exposed gem before setting off the dynamite in front of you there. Get the torch and the gem, light the dynamite in front of the door key - collect that and the gem next to it before heading up to the top right corner and exiting via the door. 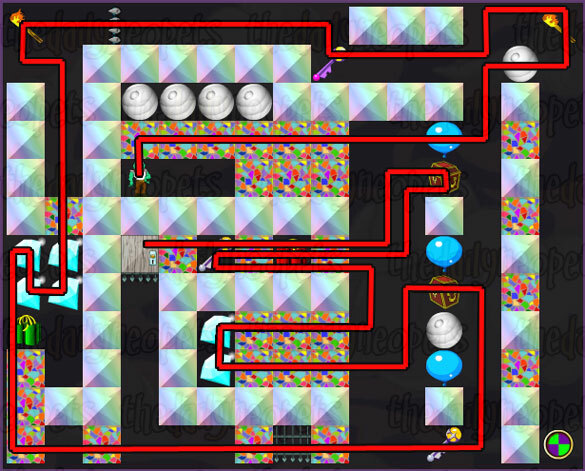 Evil is definitely the right word for this level. Firstly, head down through the trap gate and collect the torch. 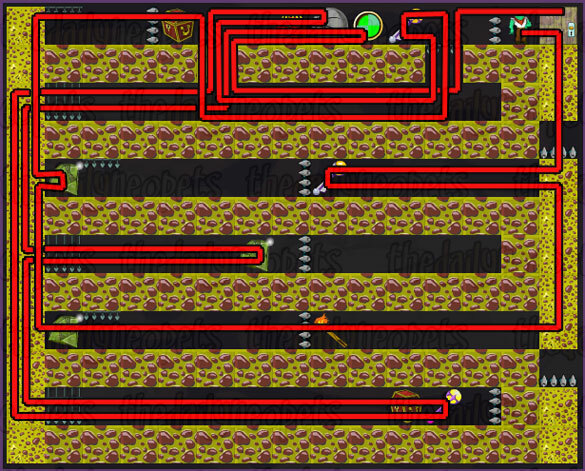 Set off the green dynamite then move left and up the first corridor you come to. Get the gem, go through the trap gate so you're back where you started and then this time go through the one on the right to get the torch. Push the balloon out of the way and go up to get the three gems. 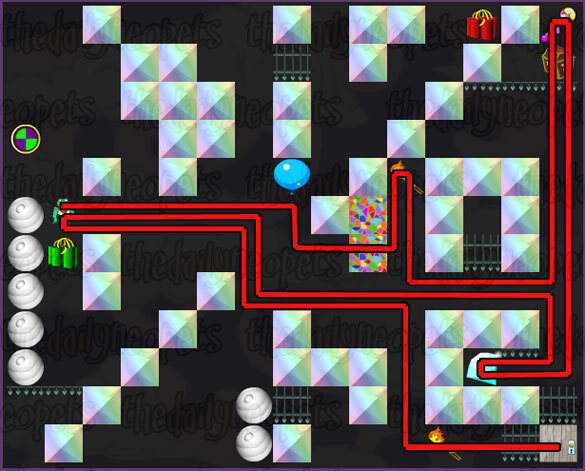 Next, head around the outside of the level til you get back to the bottom right corner and set off the green dynamite there. As always, back away a square while it explodes so you don't die. Collect the key. The rest of the level is a piece of cake once you've done that. Go up, collect the gem down the first corridor, and then go get the other chest key. Finally, collect the two treasure chests and the door key before heading over to the door. If you find yourself really struggling with the timing of the boulder push and you don't mind sacrificing a few points, you can try user rena_kuro's method: First go down, get the torch and set off the dynamite as in the regular strategy. But then go all the way to the left and follow the path around to the top right. 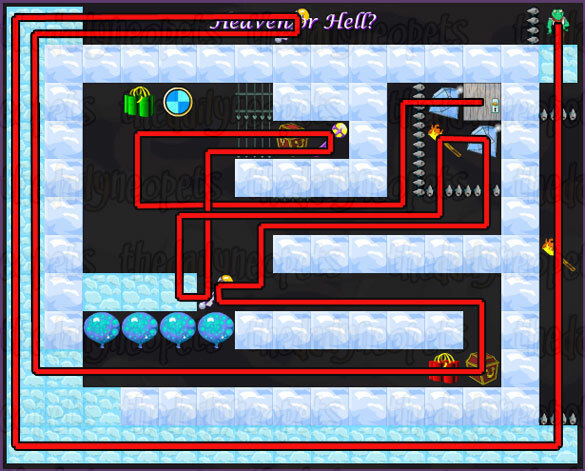 Collect the gems and the key then go back around the edge to get to the bottom. 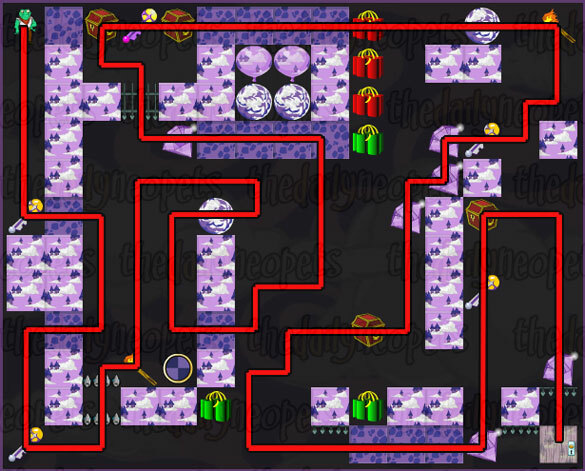 From there, pick right back up where you broke off from the guide, darting right across the gap to get the gem and push the balloon and then circling back around to blow up the dynamite and gather the final key. You'll miss out on the gem behind the bars, but you're also 76% less likely to get stabbed! Firstly for this one, head left and then down to collect the gem. Once you have that, get the torch (which drops the boulders) and the chest key in the top left corner. When you come out of that, stick close to the wall so you don't accidently light the dynamite in the middle of the screen. Instead, light the one directly below the door. You should know the drill by now, so move back a square to avoid being blown up. Go through the gates and collect the eight gems up there before heading out and to the right this time, collecting the torch and the chest key there. 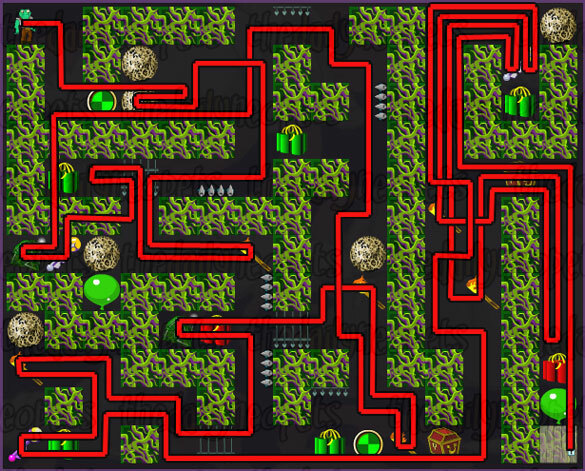 From here, follow the path in the screenie - setting off the green dynamite, and collecting the treasure chest. Get the now-exposed torch and the repeat the process on the other side. Again, make sure you don't accidently set off the central green dynamite as you move past it. Now collect the final torch and use it on the red dynamite. Push the boulder aside, collect the door key and head on up to the door to finish! Head right, past the door and then down through the first trap gate. 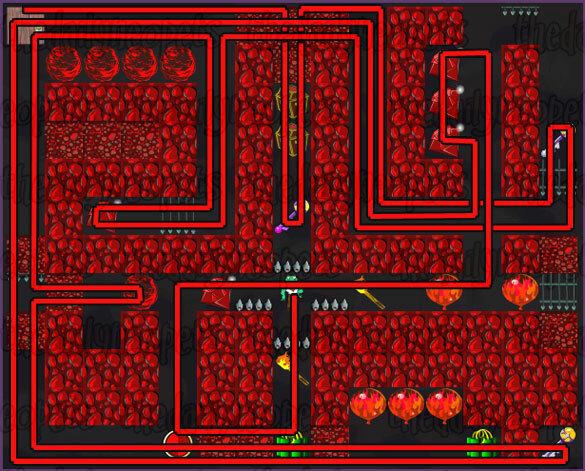 Collect the chest key then head back along and down further to go through the trap gate after the torch. Move up, collecting the gem on your way as marked in the screenie. Go along the top, and through the trap gate. Head around to collect the other chest key before coming back and setting off the red dynamite. Push the boulder onto the switch and open up the other gates. Head out and down to get the gem, treasure chest and door key that've been exposed now. Finally go back and push the boulder one square right and off the switch to reopen the path to the door for you. Wait a first for the balloon on the right to float up, and the screen looks like it does in the screenshot. Once it does, move to the right and light the two red dynamites. Once thats done, move along the bottom chamber collecting the stuff there. As you get each one, it'll release either a balloon or a boulder onto a switch. You'll need to push these off the switches as you go. After that, remove the removable wall from the top left corner and push the balloon off the switch into that corner. The gate to the final key should now open so go through and get that. Finally, go and collect the three treasure chests and the door key before returning to the door. 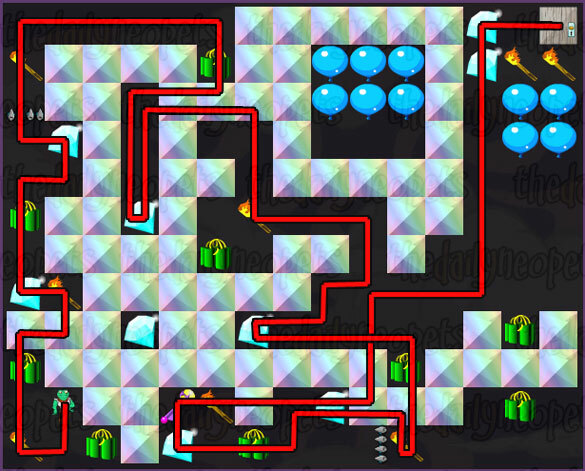 To start off this level, head down across and up to get chest key in the top center - yes, go the long way around, you need that torch too and you won't be able to get it otherwise. Go back down and light the red dynamite (getting out of the way as per normal) before picking up the chest. Collect the key so the first balloon rises up. Head over to the door, and go through one of the trap gates to collect the torch and one of the gems before you use another trap door to leave again. Make sure you leave the three down the left unsprung, as you need those to get back to the door at the end. Go and release the next balloon so that it lands on the switch and opens the gates. Collect the final chest and the door key then come out and set off the green dynamite. This will burst the balloon on the switch, and open the way back to the door for you! Use the three trap gates you left before to get back to get the final gem and finish at the door. Firstly, head down and get the gem in the bottom left corner, then head up and remove the removable wall under the boulder and the green dynamite. Go around and remove the wall under the other boulders too, as marked in the screenie. Wait under the second lot until the first have finished falling and then exit where they were. Head up and collect the gem in the top center and then go through the gate to get the torch. Set off the central green dynamite the move through the gap it creates to get the key. Go collect all the sparkly gems and then go back to by the other lot of green dynamite and push the boulders so they are over the switch, like in the screenie below. 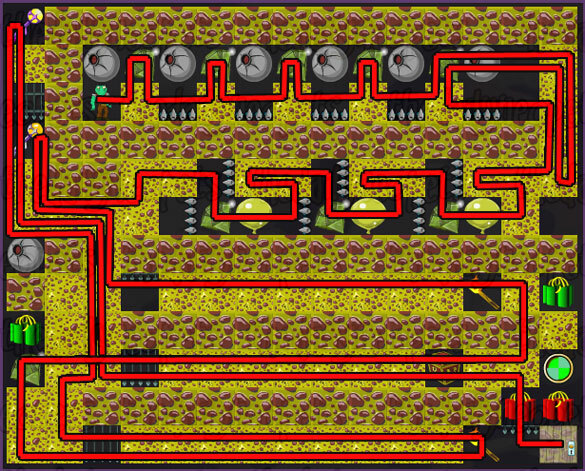 From here, move across and collect the torch in the center. Go and get the treasure chest and door key from behind the now-opened gates. Get the gem from by the door too. Now go and light the green dynamite and blow up the boulders on the switch. The path to the door is now clear so you can finish the level. Push the boulder next to you onto the first switch which will open the gates above you. Collect the torch and set off the green dynamite. This will blow up the rock and reopen the second lot of gates above you. Once they're open, go up and push the balloon onto the switch in the top right corner. Go and collect the torch and remove the bit of removable wall so the balloon there floats onto the switch. Take the torch back up and blow up the green dynamite in the top right. Collect the torch that was revealed. Go back to the other balloon and set of the green dynamite next to that. This will open the gates below it so you can continue. Collect the gem, and then move the boulder onto the next switch so you open the next lot of gates. Head around and collect the gem before getting the torch and setting off that green dynamite. Move through the two trap gates, across this chamber and through the final gate. One your way up this section, push the boulder onto the switch. Collect the torch and the gem, pass through the trap gate and collect the door key. Finally, light the green dynamite and pass through the gap it creates to get back to the door. Head down and push the first boulder two squares to the right, so you're out from under the second one. Then, push the second one onto the switch. Go around the first (making sure you don't knock it off the edge) and past the trap gate. Collect the torch and then go up and light the green dynamite. You'll need to move semi-quickly to get back right and down before the gate shuts again. Push the boulder that has fallen to your left out of the way and pick up the chest key and gem. Now head back up past the switch and through the gate at the top center of the screen. Head down though the trap gate, and past the torch and boulder to pick up the torch at the bottom there first, then go back and get the one from under the boulder. This allows the boulder to fall onto the switch and opens the gate for you. Go through and light the red dynamite before collecting the gem. Go through the bottom trap gate and then left to get the torch. Use the torch to set off the green dynamite there and grab the door key. Head back along the bottom and light the other green dynamite to get past. Collect the treasure chest there and go up to get the final chest key at the top. Make sure you don't get either of the torches on the way up! Once you have the chest key, collect one of the torches and go light the red dynamite by the door. Hurry out of the way of the balloon that'll be released when it goes off. Get the final torch and light the green dynamite at the top. This will release the boulder which will fall down... onto the balloon! The path is now clear for you to get to the door and finish. Collect the gem directly in front of you, and then the one between the two dynamites. Clear the removable wall under the boulder and get the next gem and torch. 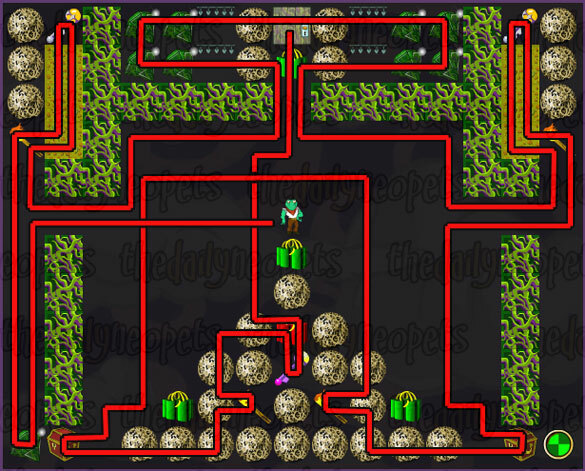 Head through where the boulder was, collect the chest key and then set off the green dynamite. Get the revealed chest and then head down to get the two gems in the middle of the screen. Go get the gem and torch in the top right corner next and then head down to light the red dynamite in the bottom center, collecting the gem as you go down. Once the red dynamite has gone, you need to get the gem that was below it and then its another of those close-and-count moments like in level 8. This time you have to move up one and right two without being hit by the balloon or being in the way when the gate closes. Hopefully you have a spare life here, for if you misjudge something. After you are past that go down and collect the chest key and treasure chest just below and then go around getting the gem and torch by the green dynamite. As you come out of there you'll light the dynamite with the torch so move quickly. Head up and grab the second torch to light the red dynamite in the top middle of the screen. Collect the chest key that the dynamite reveals, and then go get the chest and door key from the bottom left corner. Its really important that you leave the torch where it is, so don't take it. Next head on over to the right and grab the first torch you see. Use it to set off the red dynamite and get the chest key from behind it. Get the final torch and the gem and set off the green dynamite. You don't really have to do that bit, but hey, blowing stuff up is fun right? Once the dust has settled, head back towards the door and collect the final treasure chest and gem before you get to the door! Firstly, get the key from right next to you and use it on the chest two squares down. Then go along and collect the gem before removing the removable wall below the boulder and letting it fall onto the switch. Grab the four gems, but leave the torch - it'll only mess things up, you don't need it. Go along the top and duck down to get the gem before going to get the chest keys and treasure chest on the right. Collect the two treasure chests and two chest keys as marked in the screenie, being careful not to drop the boulder. Head back the way you came and get another treasure chest, chest key and gem as you go. Continue following the marked path and collecting everything you need to. Watch you don't drop any boulders though! Head past the switch, and up to grab the gem from below the boulder. Collect all the chest keys, treasure chests and gems in this area, as well as the door key. Finally, head back along to the door and make sure you didn't miss anything before completing the level. Well done on completing all the levels! The top possible score for this game is 1520 points, so provided you got everything along the way you should be set to add shiny new trophy to your collection! In many of Neopets' games one of TNT's programmers, affectionately known as "Orange Shirt Guy", makes a guest appearance. This game is no exception. 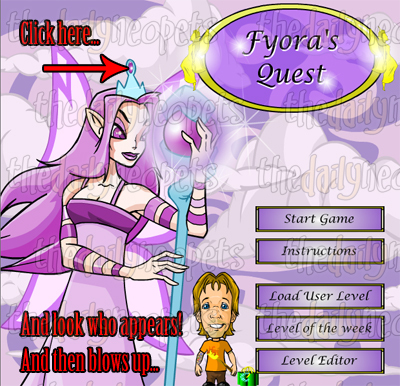 On the menu page, click on the purple gem on the top of Fyora's crown, and the orange-shirted programmer appears at the bottom of the screen, along with a torch and some green dynamite. After a few moments, the dynamite, and presumably Orange Shirt Guy, explode and disappear, rattling Fyora around a bit. Faerie Caves II is a fun little puzzle game, and is pretty easy to gain a trophy in. Since there is an absolute top score for the game, TNT has a system where everyone who has that score and is on the top 100 scoreboard when trophies are given out gets Gold. Makes it an excellent game to get a trophy in, so good luck!